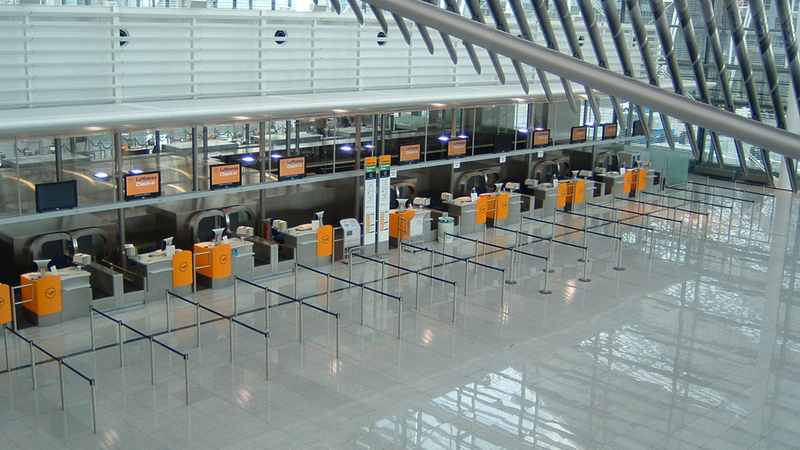 Tensator works with airports and airlines globally to help streamline airport passenger flow. We understand the challenge to always look for ways to enhance the passenger journey and experience, as well as increase safety, create efficiencies and reduce costs. That’s why, this year we’re exhibiting at the Passenger Terminal Expo in Stockholm from 20th – 22nd March. The event is the world’s largest annual airport exhibition, providing opportunity for visitors to see and experience the latest products, services and technologies. Join us at Hall A, Stand 1225 where we’ll be showcasing our latest technology, designed to make the airport passenger journey as seamless as possible. Tensabarrier® is the original retractable queue barrier. Tensator set the market standard globally as the inventors of this world leading barrier – it is the safest and most durable on the market. It can be found keeping queues moving in airports around the world. ShortcutQ is an exciting innovation that can enhance passenger experience by reducing the frustrations faced when having to walk through empty queue formations at quiet times. ShortcutQ consists of two arms that are fixed to the top of any existing Tensabarrier®. Passengers can push through the manual gates, in either direction, when the queue is empty to shortcut to the front. This not only saves time for passengers, but helps them feel like they are getting to their destination quicker. Suitable for check-in, security and immigration areas. Signage at the start of the queue educates passengers on when to use the gate and how this can save them time. In a recent trial over 80%* of passengers used the gate correctly and felt the gate enhanced the passenger experience. This gate is also ideal for emergency exit lanes and provides a fast evacuation point in the event of an emergency. Tensator Micam Protection (TMP) is available in wall protection panelling that is stronger and more durable than PVC and does not require continuous replacement – dramatically reducing your maintenance costs. 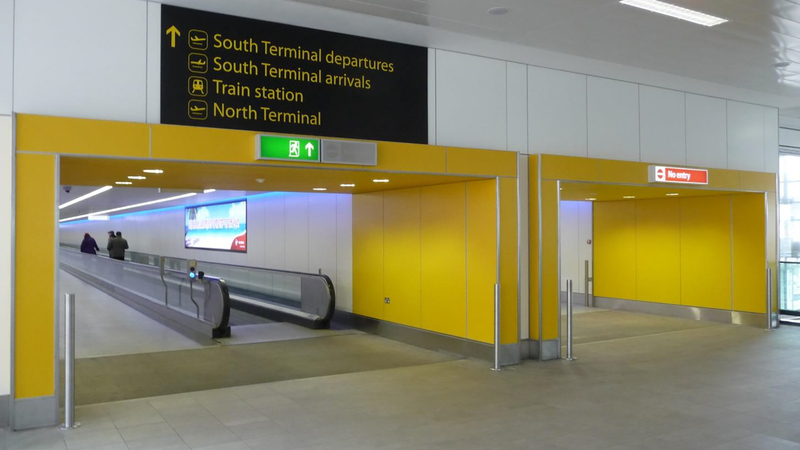 As well as the wall panelling, TMP is available in a range of ASIAD compliant, blast and ballistic proof panels that can be incorporated into other areas of an airport. 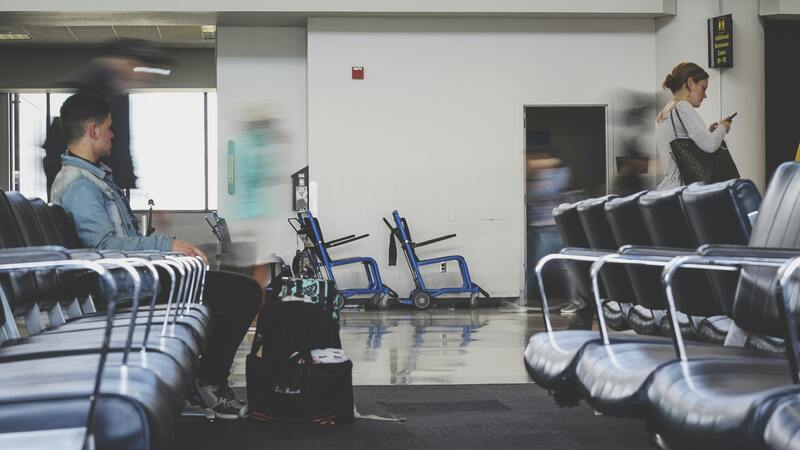 This effectively guides the flow of visitors and provides protection in places that attract large numbers of people waiting, such as check-in, central search and immigration. *This was during a trial at Dublin Airport. 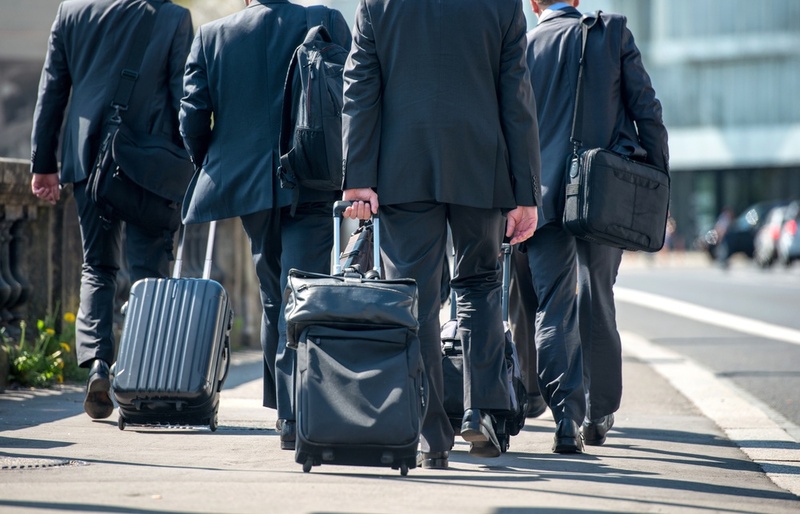 Queue management in action: which industries can benefit the most? Tensator® has been leading the customer journey since 1881. Today, we provide customer experience management consulting and turnkey queue flow solutions to customers in over 150 countries around the world. Our ability to deliver strategic solutions with a superior ROI has made us a preferred supplier for large-scale enterprises that depend on the effective movement and organisation of people.